Set your creativity free while customising your home interiors with a neat and attractive finishing touch to your ceilings. 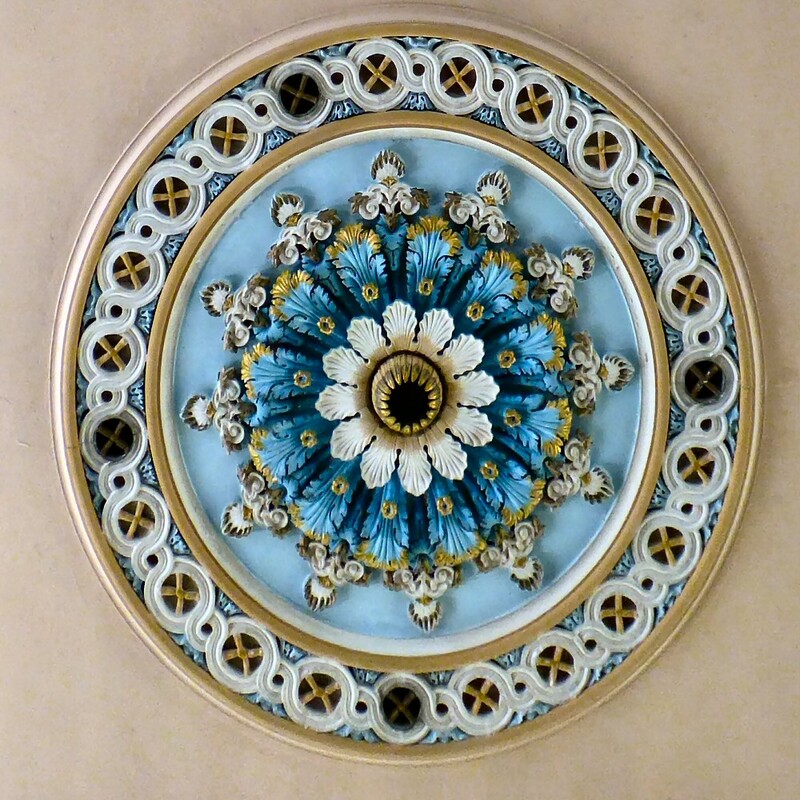 From plain flat circles to ornate designs, ceiling roses come in a variety of styles. Ceiling roses are an easy and decorative way to inject more character into any living space. There are two styles of ceiling rose you can install, which suit both commercial and domestic spaces: the cap and the cup. Polystyrene ceiling roses are the easiest to install, as they are very lightweight. 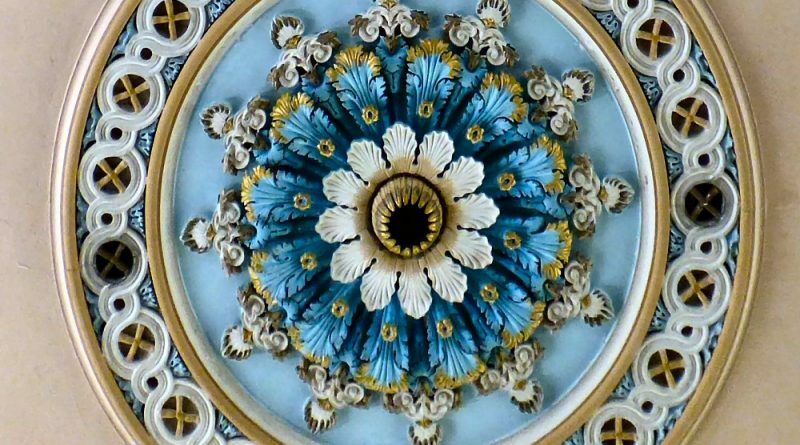 Original ceiling roses are made of plaster and modern replicas are available; however, they are incredibly heavy to install. From choosing the right size to picking your favourite style, let’s look at some tips and information on the different types of rose and which best suits your interior. Installing a cap design works best fitted to a standard conduit, but can also work without it. With a diameter of around 7.5cm, the connections are housed in an insulated box. Opt for a cup fixture, which boasts a strapped cup, as an upgrade. With a diameter of 10cm and a depth of 2cm, its space can enable it to house its connection within the rose. As it requires no additional space in the ceiling or a conduit, the cup fixture is the more traditional way of installing domestic lighting. 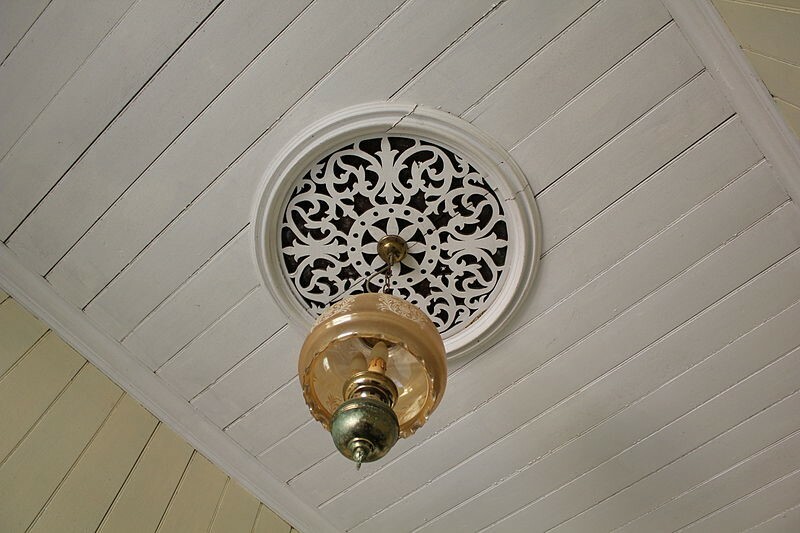 Consider the period of your home to find the right style; for example, an intricate Victorian-style ceiling rose would not suit a contemporary ceiling light. According to the BBC, brass, pewter, cast iron and tin light fittings were all popular choices in the Victorian era, finished with a lozenge-shaped mark topped with a crown. Look at the height of your ceiling. Homes with low ceilings look better with plain ceiling roses, exuding a minimalist yet modern look. Homes with high ceilings can take larger and more ornate roses without looking top-heavy. Another thing to consider is that the rose should not overpower the light itself; for example, the diameter of the rose should not be greater than the diameter of a chandelier. Depending on your colour scheme, you can choose gold, silver or bronze tones for both antique and contemporary styles. ← What Should You Buy Now for Your Summer Wardrobe?